Christmas may be over, but Christmas break isn’t. I’m sure your kids aren’t saying “I’m bored” yet, because of all the cool presents they got. Maybe you want to do something fun as a family, though. Maybe you just want to get your kids to unplug from whatever video game they’ve been playing for the past 3 days. 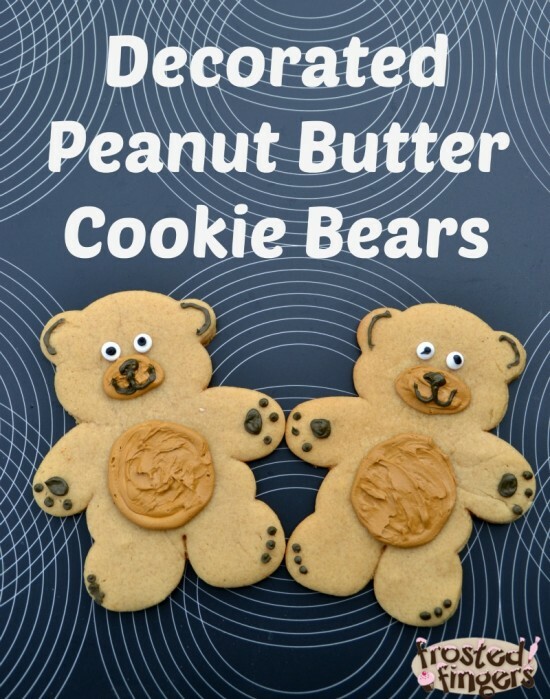 Pull out some Skippy Natural Peanut Butter and make up some decorated Peanut Butter Cookie Bears. I was browsing Facebook about a week ago and a friend of mine: Brandie from A Journey of 1000 Stitches was baking cookies with her kids. 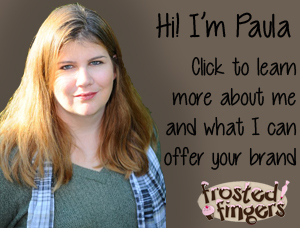 I saw these adorable little teddy bear cookies pop up and I asked her about them. I’ve never tried shaped peanut butter cookies before so I wanted to give them a try. I’ve only ever done the kind where you roll a ball of dough and flatten it with a criss-cross pattern with your fork. In large bowl cream butter, peanut butter, and brown sugar. Beat in corn syrup and eggs. Combine the lour, baking powder, and salt; gradually add to creamed mixture. Cover and refrigerate for 2 hours or until easy to handle. On lightly floured surface, roll out dough to 1/8-inch thickness. Cut with a floured 4-in bear shaped cookie cutter. Place 2 in. apart on ungreased baking sheets. Roll leftover dough. Bake at 350 for 10-12 minutes or until set. Remove to wire racks to cool. In large bowl, combine the confectioner's sugar, water, and meringue powder; beat on low speed just until blended. Beat on high for 4-5 minutes or until stiff peaks form. Tint as desired with food coloring. Keep unused icing covered at all times with damp cloth. If necessary, beat again on high speed to restore texture. Using pastry bags and small round tips, decorate the cookies as desired. Let stand room temp several hours or until frosting is dry and firm. Store in airtight container. I tried cutting out little hearts to use as the muzzle of the bears but I didn’t watch them as they were baking. Because they were so much smaller than the bears they actually burnt while the bears came out perfect. I loved that the bears stayed soft instead of becoming crispy cookies. I like soft cookies! 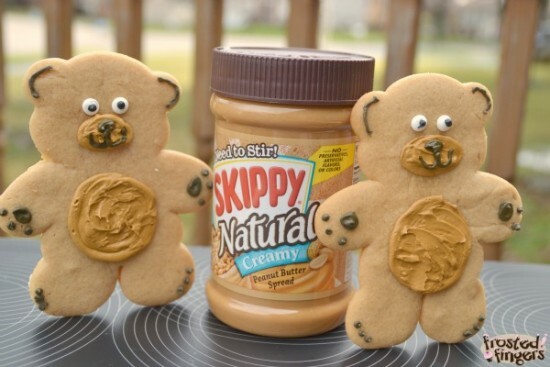 If you’d like to try making these cookies with your kids, you can get a .55 off coupon for Skippy Natural Peanut Butter and other recipes on the Skippy Website. These cookies are super cute! They could be a wonderful dessert for both children and grown-ups’ party:) Also I think that someone can borrow the idea for Valentine’s Day celebration:) It would be really sweet.